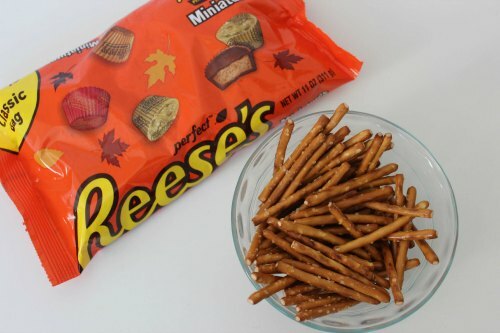 To make these Witch’s Brooms, all you have to do is melt the melting chips, dip the pretzels in them, and then stick the pretzels into the bottom end of the Reese’s cups. 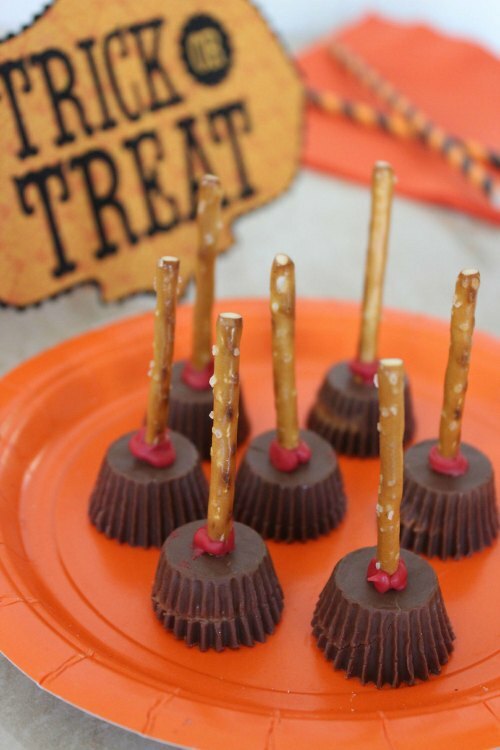 Then, once the Witch’s Brooms have had a chance to set, you’ll have fun Halloween treats you’ll be proud to show off. At least, that is if you don’t eat them all first! I’m not sure what it is about the combination of sweet and salty, but it is definitely an award-winning combination. The way that the saltiness of the pretzels combines with the sweet chocolate just brings both flavors to a whole new level. You thought you couldn’t stop eating Reese’s cups before? Just wait until you try these Witch’s Brooms. Either make them with everyone else around so you are forced to share right away, or don’t tell your family you are making them, because you won’t be able to save any for them! If you need a fun Halloween snack, but you don’t feel like you have the time or creativity to make something elaborate, that’s okay. 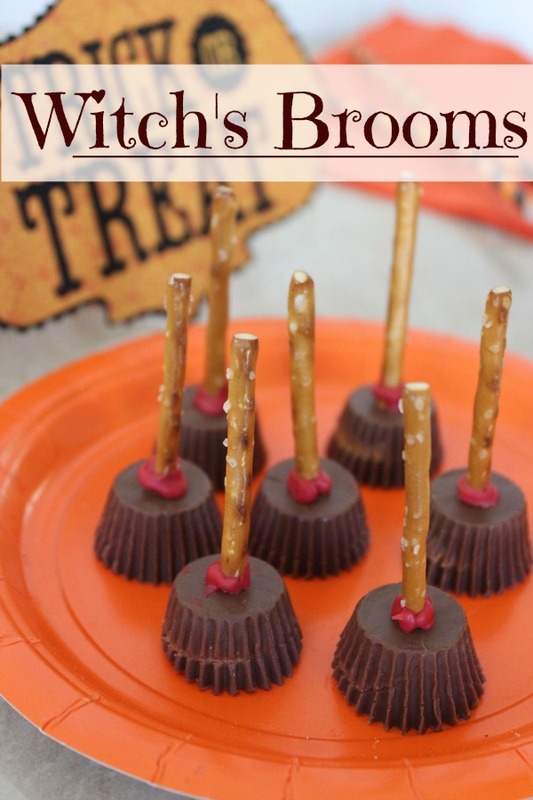 This Witch’s Brooms are cute, delicious, and easy–everything you would want from your Halloween treats! Melt fall colored candy by heating in microwave for 45 seconds, stirring and repeating until melted and smooth. Dip ¼" of pretzel into melted candy. Insert pretzel stick into bottom of Reese's cup and place on prepared pan.